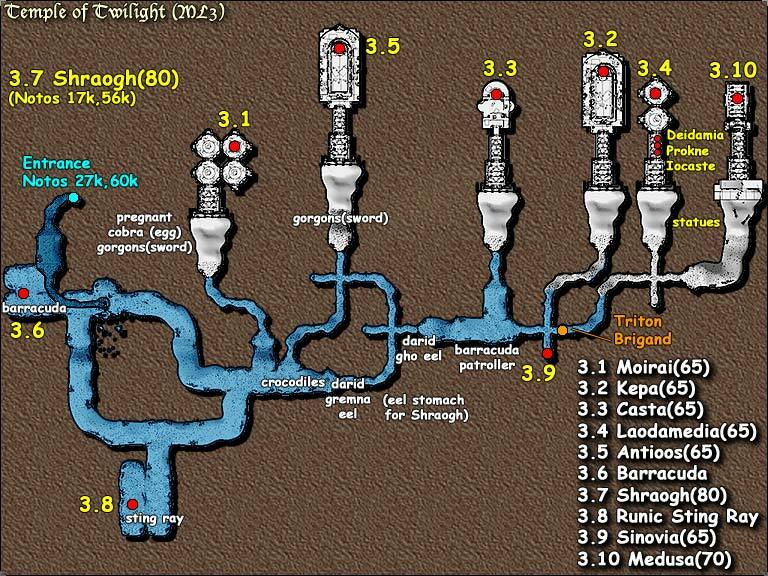 Majority of Master level 3 takes place in this dungeon. Lon = 17.2k, 65.1k in Oceanus Notos. Certain zones are now flagged as Epic Zones. These zones now relocate anyone logged out for more than 30 minutes to a safe spot typically located at the start of the zone, except for the main Realm Dragon zones. The locations for these Epic Zones place you safely outside the Faction towns, near the bindstones. 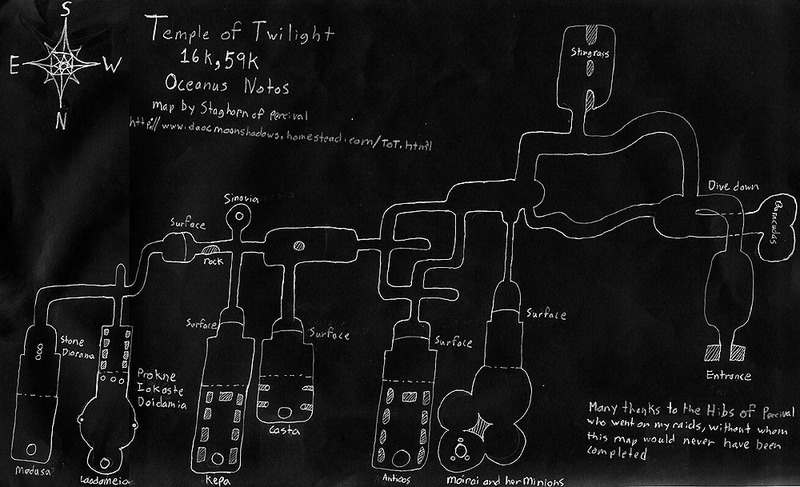 Per this note, Temple of Twilight is now considered an Epic Zone.